Whether you planning to sit alone, or amongst your bridesmaids and groomsmen, a statement making with beautiful Bridal chairs are a must-have for your reception. 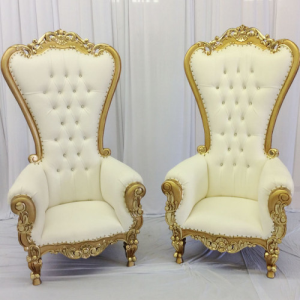 Bridal Chairs have been a traditional chair for many cultures as they signify different meanings. Boss Plastics offers you a selection of Bridal Chairs to choose from to create the perfect event. 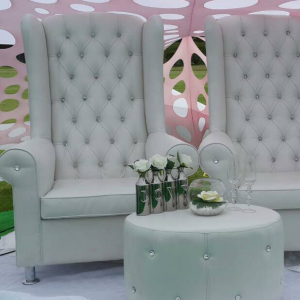 Our Bridal Chairs have won the hearts of many with their spectacular design. Our products are manufactured with the most technically superior equipment in the business. We keep a close eye on the evolving manufacturing industry, and as it grows we go through development and entire machinery updates. We do this to guarantee client agreement and to keep up with the demand for our highly required sought after products. State of the art manufacturing process with virgin compounds made to our specifications ensures production of high quality and totally weather proof Plastic chairs. We design and manufacture plastic molded chairs, party chairs, wedding chairs & function chairs. You cannot underestimate the beauty of these structures and the buzz and excitement they create every time they are used. They will ensure that your event will remain long in the memory of everybody who attended. In terms of function they are extremely adaptive and offer practical solutions to problems regarding awkward terrain, logistics and client specifications. Our plastics chairs are designed for maximum seating comfort and leisure, easy stack-ability, weather conditions resistant, easy to clean, dirt free, light weight and zero maintenance cost. Our clients range from various industries from hotels, restaurants to household use for swimming pools, gardens from domestic and international markets. Boss Plastics manufacture plastic chairs, Bridal chairs, plastic folding tables, round tables, steel folding tables, tablecloths, chair covers and supply to countries like South Africa, Zambia, Zimbabwe, Angola, Swaziland, Namibia, Nigeria, Lesotho, Mozambique, Kenya and Botswana. Our specialized sales team is here to help you make the right decisions when buying your products and are ready to answer any questions. 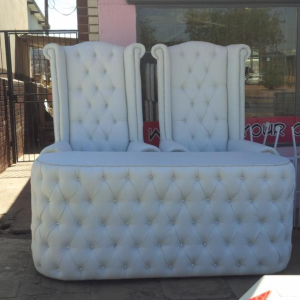 Boss Plastics manufactures and supplies Bridal Chairs in Durban, Johannesburg, East London, Cape Town, Bloemfontein, Port Elizabeth and throughout Africa. 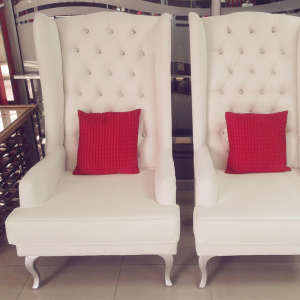 Where to Buy Tiffany Chairs & Plastic Chairs in South Africa ? Plastic Chairs by Boss Plastics are suppliers and manufacturers of Plastic Chairs, Tiffany Chairs, Plastic Folding Tables, Round Tables, Steel folding Tables, Tablecloths & Chair Covers. Tiffany chairs come in a range of colors such a Clear Resin, Gold, White and Silver. Boss Plastics supply Plastic Chairs, Tiffany Chairs, Plastic Folding Tables, Round Tables, Steel folding Tables, Tablecloths, Chair Covers to countries like South Africa, Zambia, Zimbabwe, Angola, Swaziland, Namibia, Nigeria, Lesotho, Mozambique, Kenya and Botswana. 212 Archary Road South Africa Durban 4052. 031 823 5526 / 087 056 2568.